In addition to the best high quality generators on the market, Sharpline Home Services offers accessories to compliment your purchase. If there’s something you’re searching for not listed here, feel free to contact us. We’ll personally help you find what you’re looking for. Every standby generator needs a transfer switch to operate. 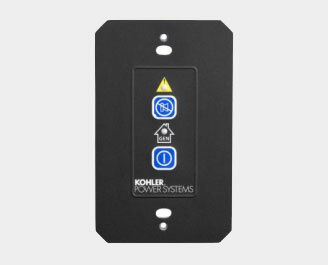 There are many different models of transfer switches available. Sharpline will help you determine which transfer switch meets the needs and requirements for your generator. Transfer switches are an integral part of your generator installation. They continuously monitor the power levels in your home. If power is interrupted, the transfer switch will automatically signal the generator to turn on and power your home. The transfer switch then continuously monitors the power levels and when power returns, it will transfer the load back to the utility source. Your generator will then cool off and shut down. Thanks to the transfer switch, this entire process happens without any effort from the homeowner. No braving the elements or venturing out in the middle of the night if a power outage should occur. Even if you aren’t home, the safety and power of your home is never compromised. 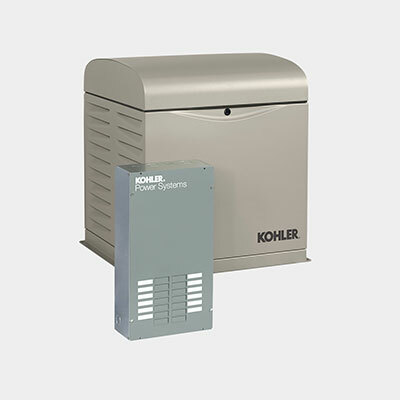 Kohler offers innovative generator monitoring products that are a first of it’s kind in the industry. This makes it easy to observe and control your generator system from afar. These accessories alert you when your generator is activated and when it needs attention. Purchasing a back up power source is investing in peace of mind, and now with OnCue you can take that sense of security with you – even when you’re far from home. 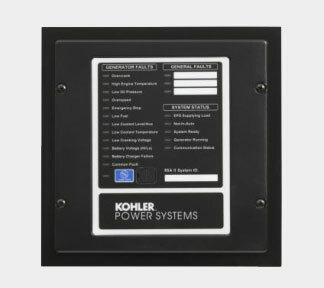 Kohler’s OnCue generator Monitoring system provides remote monitoring of your system by sending texts and emails and offering online status review and generator control. If you would like further information about accessories and how to determine which one would make the best fit for your generator purchase, feel free to give us a call.